Electrical safety is a serious issue employers should not ignore. As electricity is an essential element of life and work today, companies must create and implement comprehensive workplace safety protocols if their workers work with electricity either directly or indirectly. Employees who work with electricity directly may include electricians, engineers or those who run tests on electrical wiring. Others, such as salespeople, office employees or campground workers may work with electricity indirectly. As electricity is both necessary and dangerous, the Occupational Safety and Health Administration created electrical standards that specifically address federal concerns about electricity in the workplace, especially in regards to electrocution, explosions, fires and electric shock. The agency emphasizes these standards in order to minimize these hazards in the workplace to keep workers safe and free from harm. Electrical Construction & Maintenance reveals that OSHA is becoming more and more concerned with electrical safety, as indicated by more frequent inspections, numerous citations and greater penalties in recent years. In 2009, the number of OSHA inspections was at around 39,000. In 2011, the figure grew to 41,000. The next year, estimates put that number at 43,000. Since this time, the number of inspections has continued to grow. 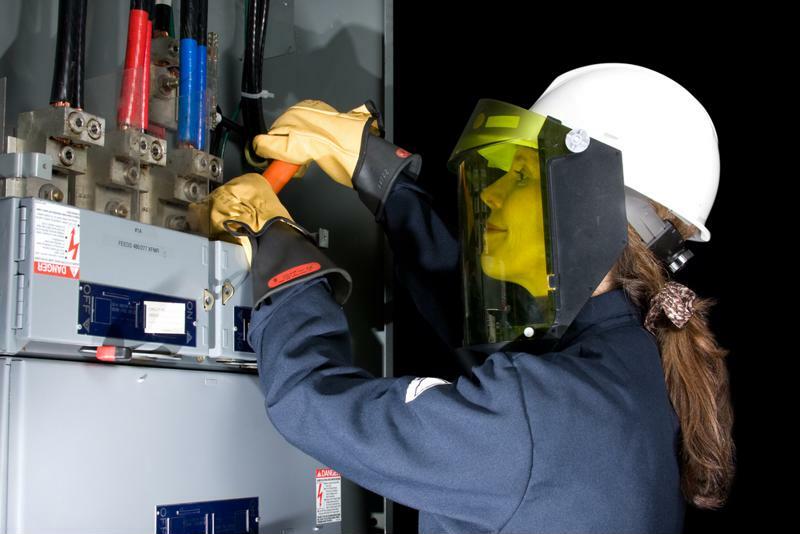 What should you know about electrical safety in the workplace? With the the sheer number of inspections, more than 82,000 citations were handed out in 2012, while the average proposed penalty cost doubled from 2010 to 2011. With these figures in mind, employers should be aware of how seriously OSHA takes electrical safety. One essential component of electrical safety in the workplace and being OSHA compliant is labeling your facility. According to OSHA 1910.335(b)(1), "Safety signs and symbols, or accident prevention tags shall be used where necessary to warn employees about electrical hazards, which may endanger them as required by 1910.145." Whether your workers operate electrical equipment or are around circuit breakers, everything must be properly labeled and identified to keep employees safe and your facility free from OSHA fines and citations. Far too often, OSHA officials cite workplaces for failures in electrical safety. For example, in January 2016, OSHA investigators inspected a Connecticut-based adhesive tape manufacturer after multiple employees warned the agency about numerous, serious electrical hazards. After the investigation, OSHA cited the company for violating 17 serious workplace safety standards, with proposed penalties amounting to $78,000. "OSHA officials cite workplaces for failures in electrical safety." OSHA found that the company was allowing unqualified and untrained workers to reset, repair and troubleshoot electrical circuits and controls with exposed, live parts. There were no enclosures or guards to prevent contact, as well. Other serious electrical shortcomings include failing to shield employees form exposed live fuses, placing metal-framed furniture near energized electric equipment, not ensuring the correct use of electrical equipment in conjunction with labeled restrictions, not guarding exposed energized electrical equipment and using flexible electrical cords of fixed wiring to power equipment. "The breadth and number of hazards identified during our inspections are of concern," Warren Simpson, OSHA's area director in Hartford, said. "Left uncorrected, they expose employees to potential injuries or worse from electric shock, fire, deficient respirator safeguards and chemical burns, among other hazards. Prompt, effective and ongoing corrective action by [the company] is necessary." Barely a month later, OSHA officials were investigating a New York campground, when they found that employees were repeatedly exposed to electrical hazards when they needed to work on outdoor electrical equipment. As a result, the agency issued seven serious and two willful safety violations, with proposed penalties amounting to $187,000. Some of these discovered hazards included a lack of personal protective equipment or employee electrical safety training, failure to de-energize and lock out electrical equipment when workers needed to test operate or replace this equipment and using damaged and rusting electrical field boxes that let in snow, wind and rain. "These employees were knowingly exposed to electrical hazards that could have burned, shocked, disabled or killed them. They lacked the basic training, personal protective equipment and safeguards necessary to protect them," Robert Garvey, OSHA's area director in Albany, said. "This employer must take prompt and effective steps to address and eliminate all these hazards before workers are harmed." At Stranco, we understand your commitment to keeping your workplace free from electrical hazards and compliant with OSHA regulations. This is why we offer black on orange self-adhesive voltage markers so workers can easily identify voltages on conduit, power and distribution and control panels and electrical components. They are made of vinyl with permanent acrylic adhesives, meaning they resist dirt, oil, moisture, abrasion, grease and many harsh chemicals and solvents. Contact one of our representatives today to learn more about our voltage markers.